Miami Law's International Graduate Law Programs is known for its individual attention to each LL.M. student so it is no surprise during the Director Jessica Morris's recent visit to Brazil, she connected with alumni and newly admitted students to the program. 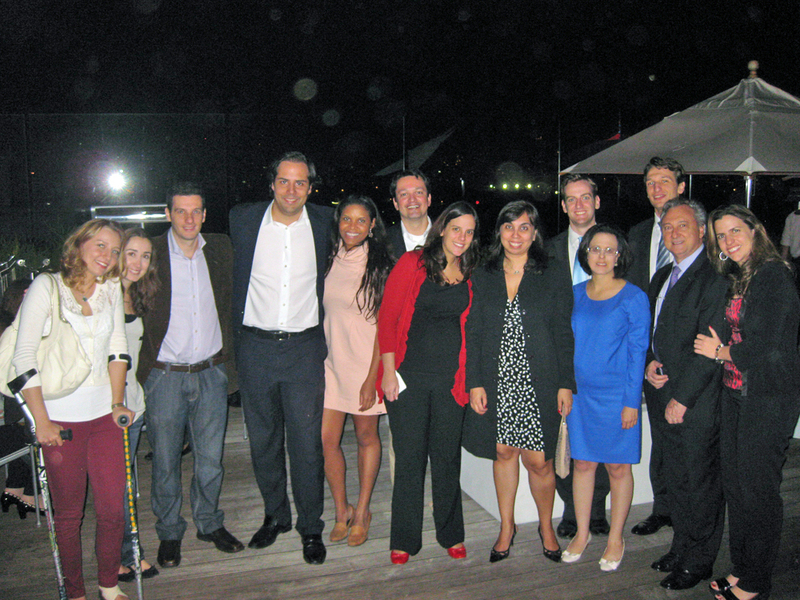 Morris met with alumni in Rio de Janeiro and Recife, and hosted an alumni reunion in Sao Paulo with incoming International Law LL.M. students. One incoming student, Sao Paulo attorney Luis Felipe Grandi Massola who reconnected with Morris at the reunion, was one of the participants in the short course "Basic Concepts in International Arbitration" Morris had organized and Miami Law had offered in January 2013. "The short course was the reason I decided to apply for admission to Miami Law," said Massola. "I was very happy when I received my acceptance and felt my dream was coming true. That same week, I met Director Morris and some alumni here in Sao Paulo. In short, it was a powerful demonstration of Miami Law's quality and professionalism. I am absolutely confident that I made the right choice." The reunion also gave Massola the opportunity to meet other LL.M. alumni, exchange information and obtain advice for his upcoming time in Miami this August – an experience that is a hallmark of the personalized attention and networking that are part of Miami Law's International Graduate Law Programs. In addition to the reunion, Morris forged powerful partnerships with alumni in Rio de Janeiro, particularly with Dr. Paulo Marcelo Serrano, LL.M. '05, a Brazilian judge who was recently promoted to the Labor Court of Appeals in Rio de Janeiro. Morris and Serrano are currently planning for another short course for summer 2014 as an introduction to U.S. law for Brazilian judges and lawyers. Morris also promoted the Programs' upcoming 2014 Fundamentals of International Arbitration short course as well as the Programs' competition for a scholarship awarded to a top Brazilian attorney to attend the Miami Law's LL.M. program in international Arbitration. "This was another very exciting trip to Brazil. We had the opportunity to promote the programs and forge close connections with prominent schools and organizations in the country," said Morris. "What is truly rewarding, however, is visiting with our alumni and seeing just how much they have accomplished since they studied at Miami Law."